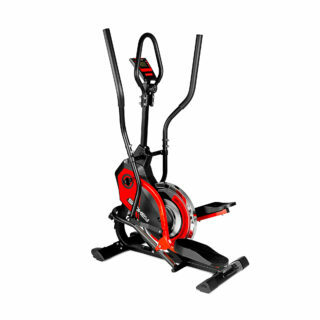 Elliptical machines are equipment perfectly suited to those who want to strengthen their whole body. 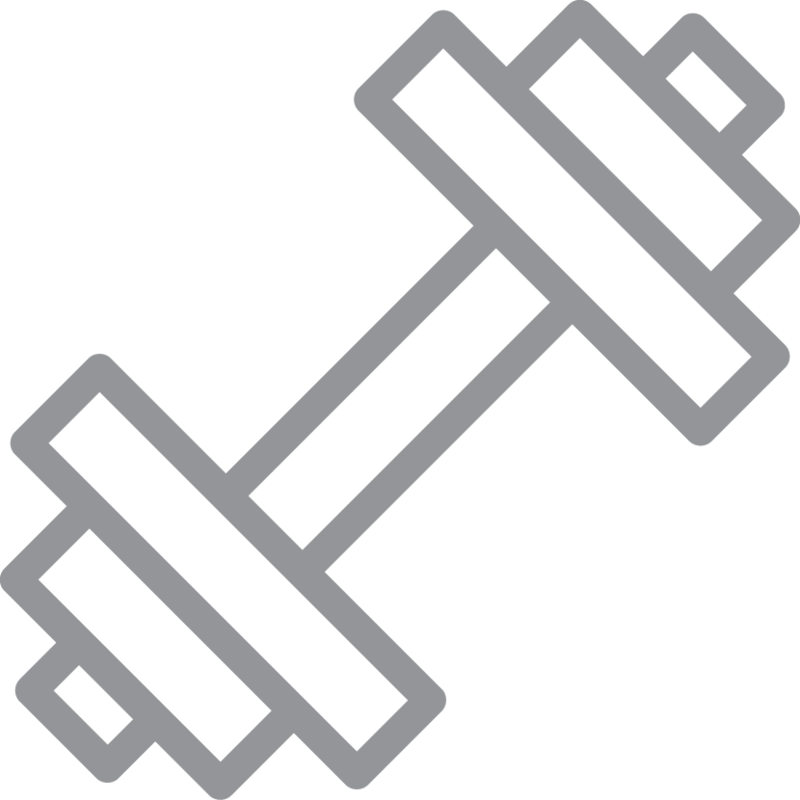 During training, both the lower and upper body are worked, with emphasis on the calves, buttocks, and pectoral girdle. 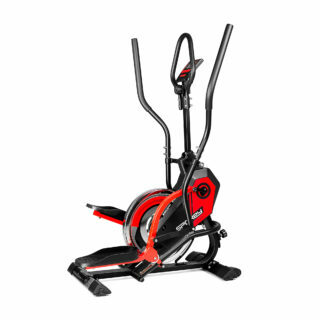 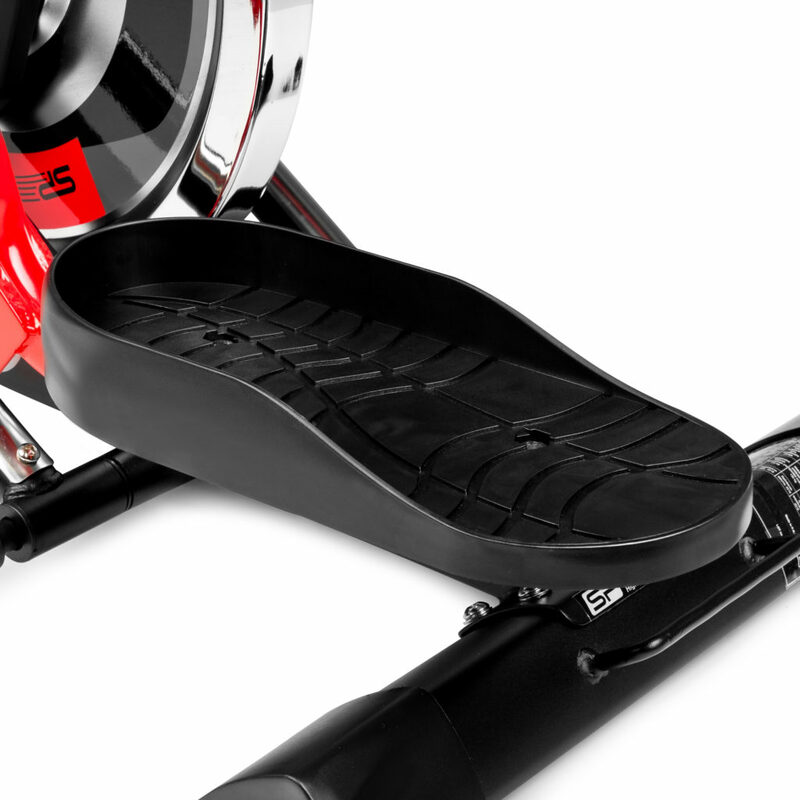 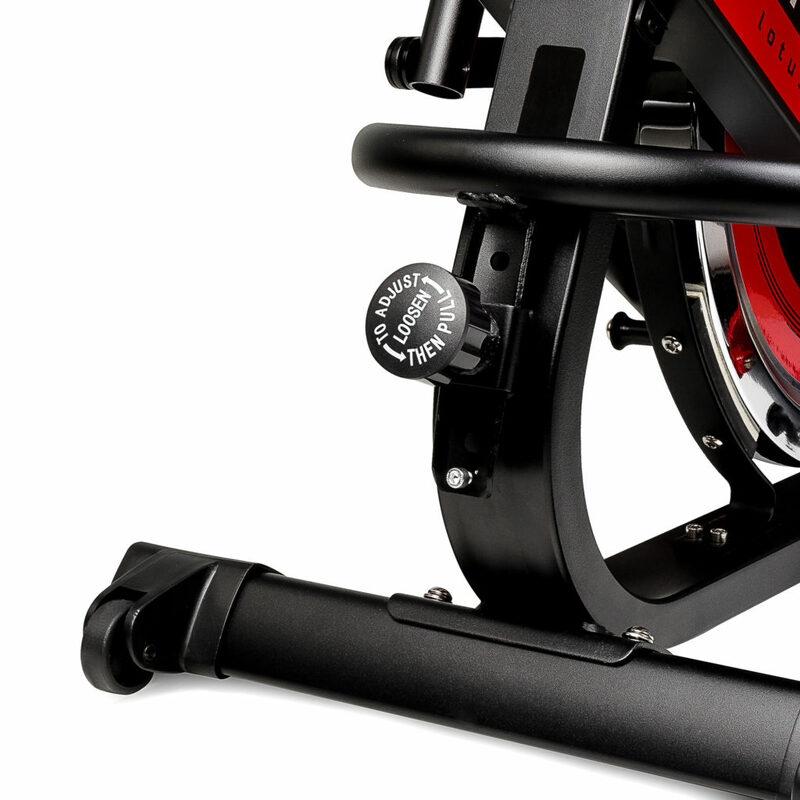 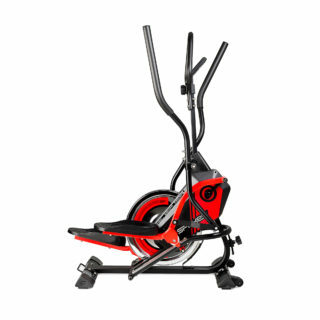 Exercises on the elliptical corresponds to exercise on a stationary bike, but thanks to the construction of the machine it causes less strain on the joints. This means the machine can be used by those who are in good shape, as well as seniors and the overweight. 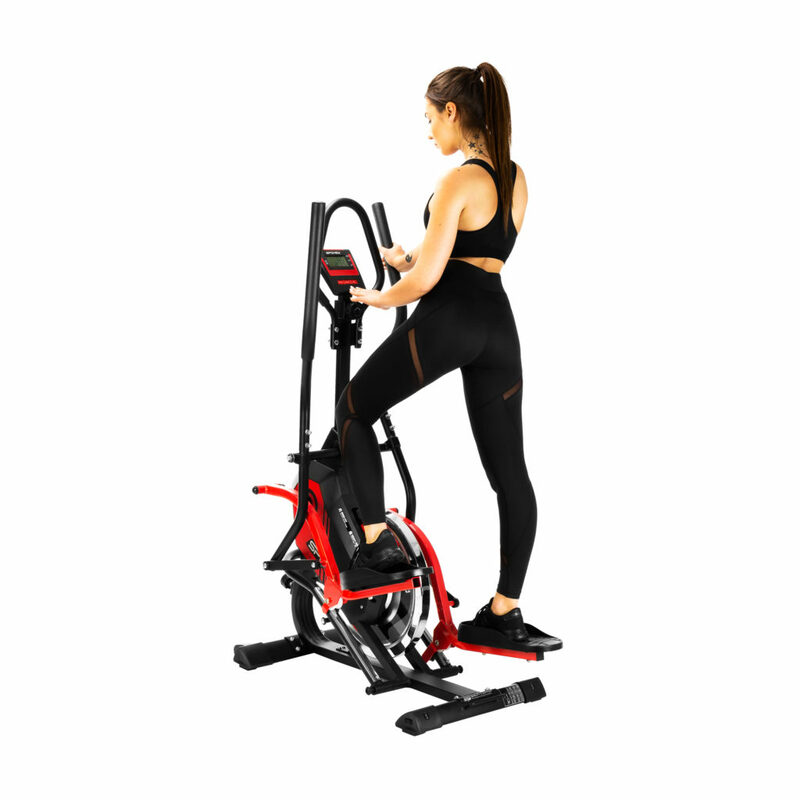 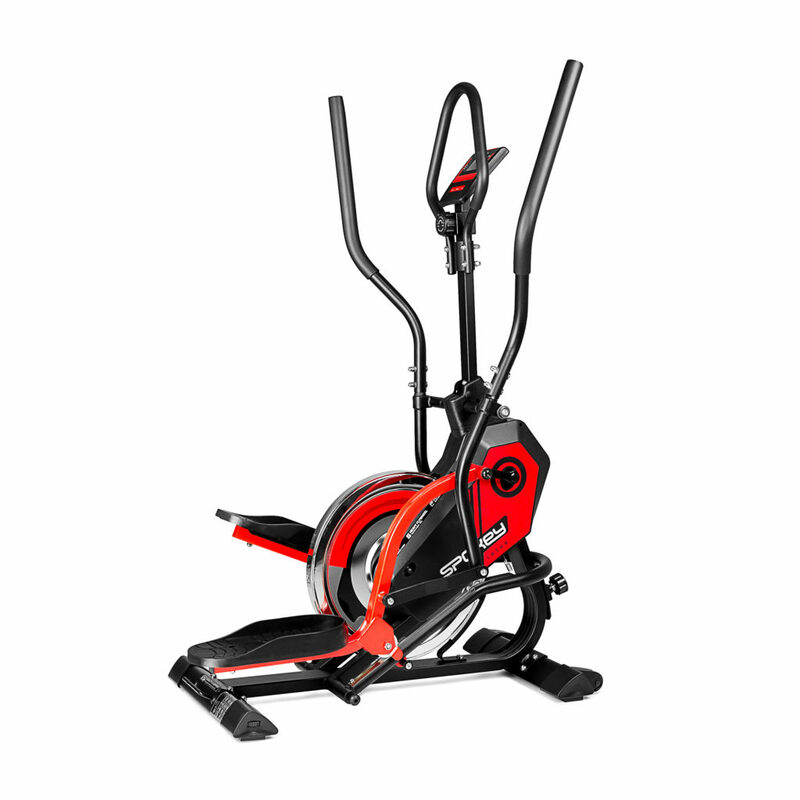 The Spokey Lotus Elliptical machine was designed for people who care about their health, keep in shape, and also appreciate the highest standards of workmanship and comfort. 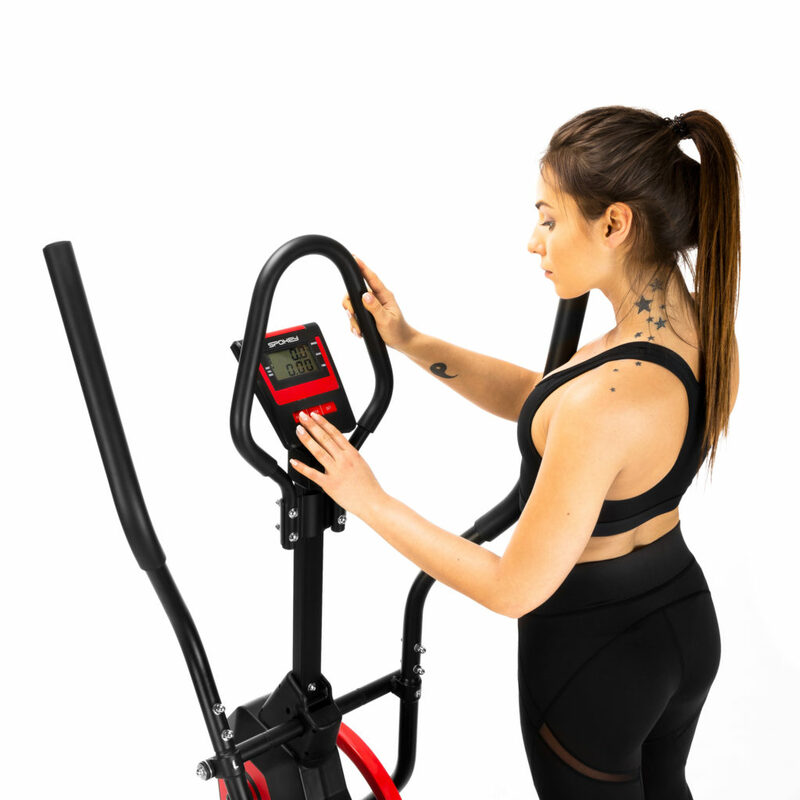 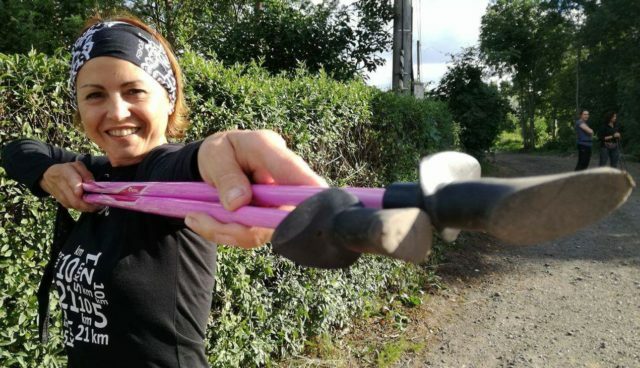 A system that allows you to reproduce natural movements during a workout – the work of our muscles is as close as possible to the natural cross-country skiing. 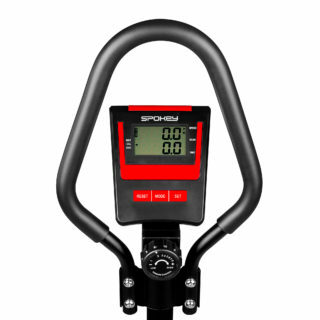 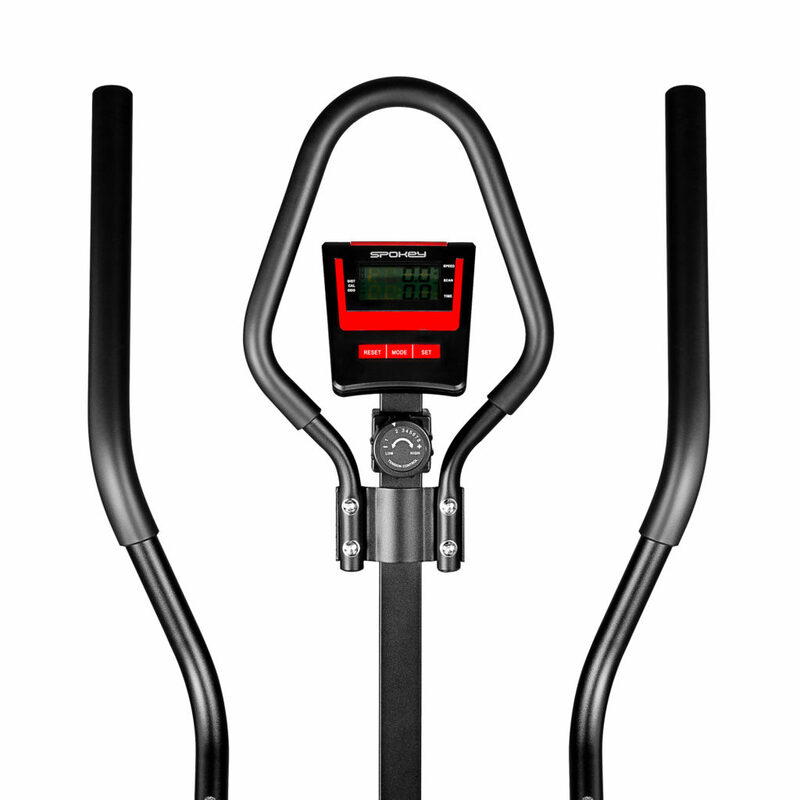 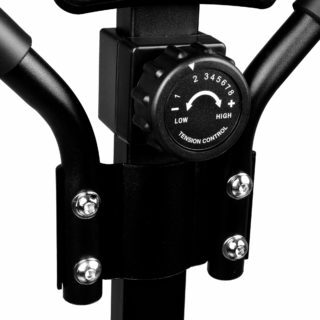 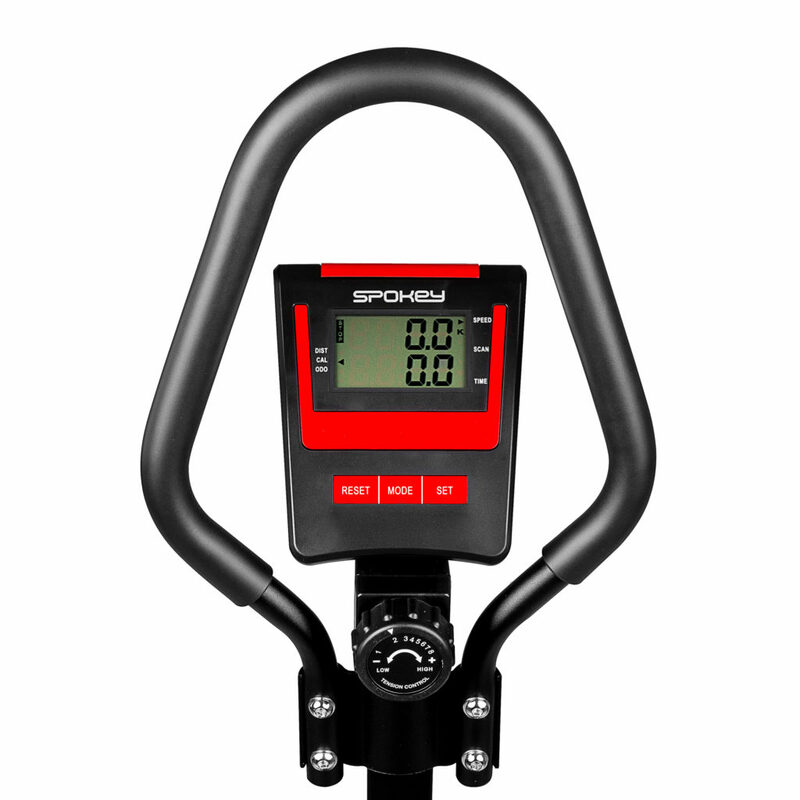 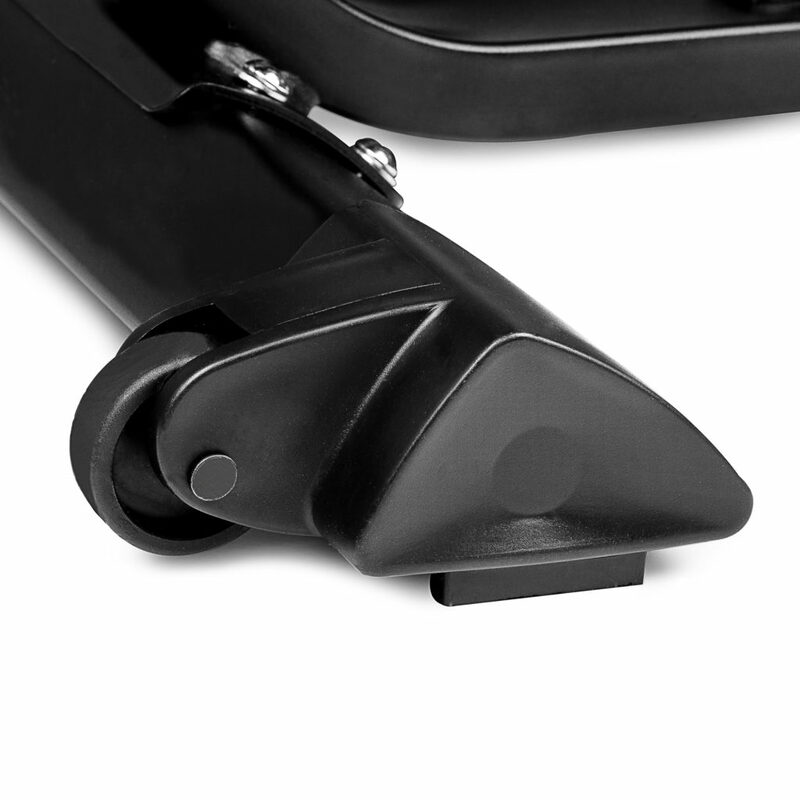 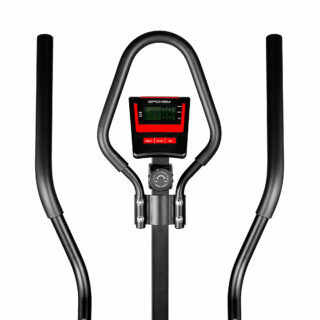 In the Lotus model the user adjusts the resistance by himself/herself in the 8-degree range with a knob under the handlebar.